A Ford Stevens Military-Aviation Thriller…coming in December 2016! Concealed deep within China’s inland borders is one of the most secretive airplanes ever flown, known as Devil Dragon. She’s sleek, unbelievably fast, and mysterious—her test pilots have one mission in mind: make her test flights successful for operational use as soon as possible. Or sooner. But when strange transmissions of pilots are recorded without an aircraft appearing on radar, and bizarre cell phone signals are detected at towers hundreds of miles apart, the intelligence community team is set in motion, and U.S. Air Force Reserve pilot Ford Stevens is asked to take on the most dangerous assignment of his life. What begins as a friend helping a friend explodes into a globe-trotting action packed military-aviation adventure. Against an atmosphere of Washington, DC government red tape, an intimidating Chinese General, DIA leadership, and carrier aviation, all airways lead to a stunning international plot. 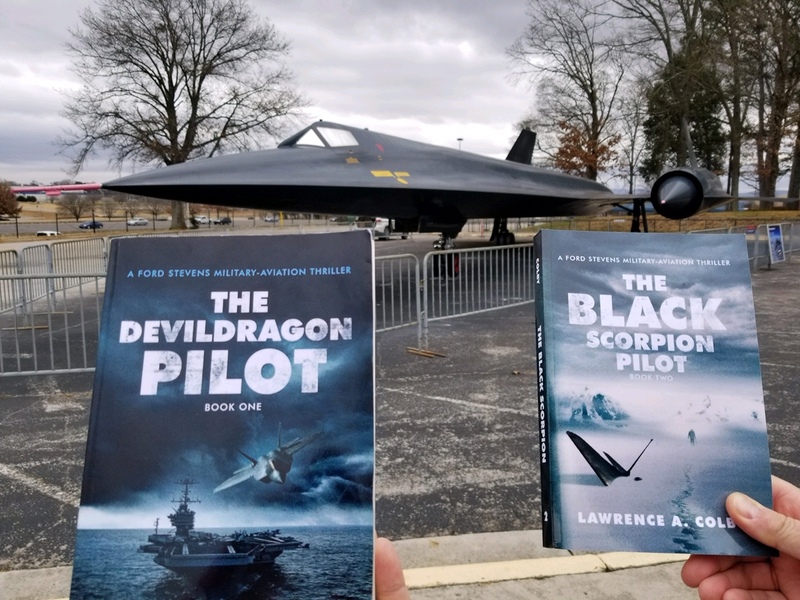 Crammed with deceitful government employees, smoke and mirrors tradecraft, and the blackest, most secretive aviation flight ever undertaken, you will be unable to put it down. Zip up your flight suit and hold on for the ride! This site looks amazing! I especially like the graphics on the home page. Say, this book looks really interesting and I’d like to buy some for some pals and family. We love military thrillers. When will it be released??? Thanks for your visit, Jerry. The DevilDragon will be published this December! The main character is an Air Force Reserve pilot named Ford Stevens… the story involves everything from U.S. Consulates to aircraft carriers. There’s technical pilot speak to thrilling Washington politics. I don’t want to disclose too much, but know that Ford Stevens is a B-1 pilot, and that DevilDragon can fly at alarming Mach speeds. Looking forward to the release of this adventurous thriller. I’ll be sure to pass this along to my friends and family. This story rocks! I am excited to read it. My dad (Navy 78-99) is a vet and I’d like to get one for his birthday just before Christmas. He loves military airplanes. Can I get it at Barnes and Noble at the mall? Thanks for visiting. Please thank your father for serving, too. Yes, the book will be available at Amazon in Kindle, Audible and print formats, in addition to Barnes and Noble. Thanks, Cheese! Looks like a great one. Can’t wait to meet Ford Stevens! Thank you, Michael. Just posted something on Ford as you get to “know him”. Take care. In the RAF in the U.K., mate. American F-15 pilots turned me on to your book. I am an avid reader of Vince Flynn, Tom Clancy, and Brad Thor. You are the only author that has served in the military and is a trained military and commercial pilot. Your views in the cockpit give this book some authentic reality, ones that those authors can’t begin to imagine. I’m a veteran (Army), but I’ve never up close to an aircraft. Can’t wait to read about the flying and China. It was nice to meet you at the luncheon in Washington DC yesterday. I wish you the best. I’ll also read your book. Thank you, Miles. Very nice talking to you as well. I appreciate your kind comments, too. Thank you! A pleasure meeting you at the Ben’s Chili Bowl lunch. If this book is half as good as you explained, I can’t wait for the movie. Movie! Would be fantastic. That’s next. Looking forward to an exciting read! Thanks for the support, Dennis! Counting down the weeks to the Grand Rollout! Location TBD!